Action shots can be hard to nail just right, but the image of Daniel sweeping Cami up into his arms is just about perfect! 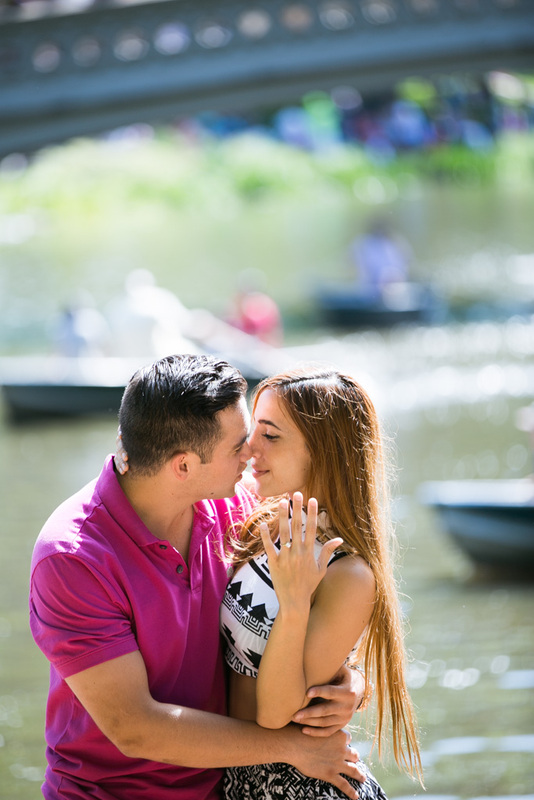 After a long trip from Mexico, Daniel picked the Bow Bridge in Central Park as the location for his proposal on Jun 18. Both of them are just bubbling over with happiness. It never fails to touch me that couples want me to be part of one of the most joyous experiences in their lives. I wish them all the best!